Currier and Ives Horse Farm! 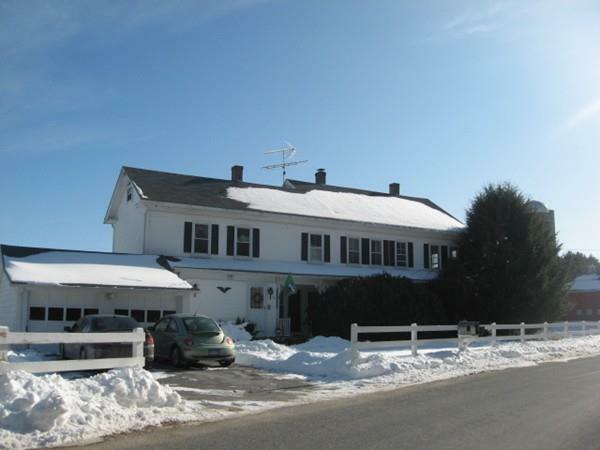 Ultra modern 12 stall barn without sacrificing New England charm. Wash stall, his and her baths, , tack room. 48x96 indoor arena, 40x80 carriageshed with stalls, 27x45 workshop. 743 of frontage with buildable lots. If you have been looking for a nice horse farm, this is it! Owner will finance! Listing courtesy of David Parent of Park Avenue Realty Associates. Disclosures House is Being Used As A Two Family But Easy To Convert Back To A Single Family. Listing provided courtesy of David Parent of Park Avenue Realty Associates.